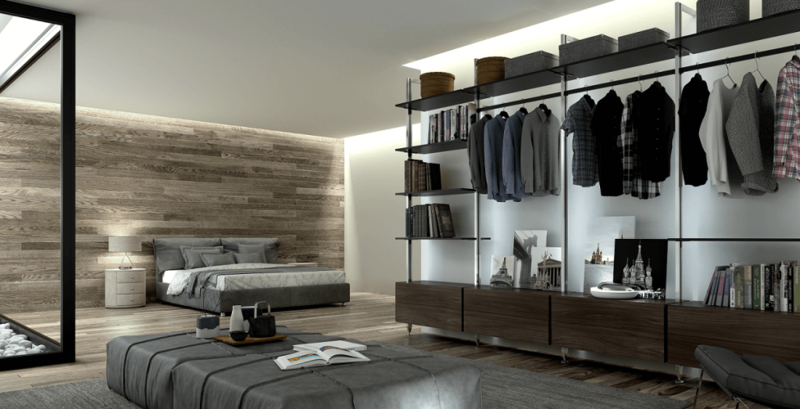 With the STILI shelving system, you can create stylish and contemporary storage spaces for any area of your home, from wardrobes to living spaces. Fully customized for your space, no matter how big or small! Huge range of finishes & colours available. Aluminium available in Black Varnish or Star Dust finish. Have your design just the way you want it. All Aluminum components are manufactured by VOLPATO, renowned worldwide for designing and manufacturing innovative cutting-edge products. The STILI range can either be fitted floor to ceiling or floor to wall, adding to its versatility. Either way, STILI can be used in your bedroom, in the living area (as a room partition between two different spaces), an entertainment unit or any other room you desire. The fixing system makes it possible to place shelves and cabinets wherever you want. When you're ready to find out how amazing your space will look like with STILI, feel free to reach out and say 'Hi'. Whatever style, solution or result you're looking for, the specialists at The Wardrobe Man will help you create a premium design! and never be rented or shared with any third party.